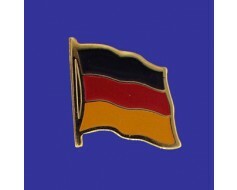 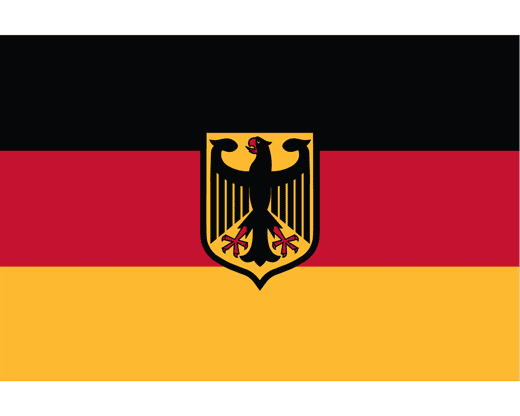 Tricolor Germany flag design with Bundesschild (eagle on shield) centered. 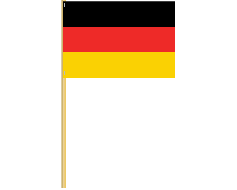 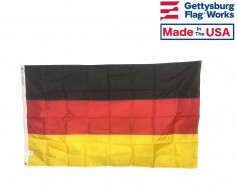 This is the governmental version of the flag of Germany. 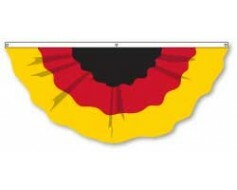 Printed nylon or polyester for outdoor or indoor display.